Photo: WHO SAID YOU CAN’T DO IT? : Tuna Pio Lautua and Flora Vaiaoga working hard during the 2018 Toa Games at Vaitele during the weekend. The two defied the odds with their willpower to overcome stereotypes, weight and health challenges to join what is arguably Samoa’s toughest fitness competition. In the end, Tuna narrowly beat out Flora for the Spirit of the Games Award. Still, they were champions in everyone’s eyes. Team Drink the Kool Aid has taken out the title of the Fittest Team in Samoa at the 2018 Toa Games at Vaitele last Saturday. The winning team overcame a strong challenge from “Braveheart” who finished second, “Squat it Like its Hot” who finished third with “Black Mamba” and “Barbell Wolves” sharing fourth place. 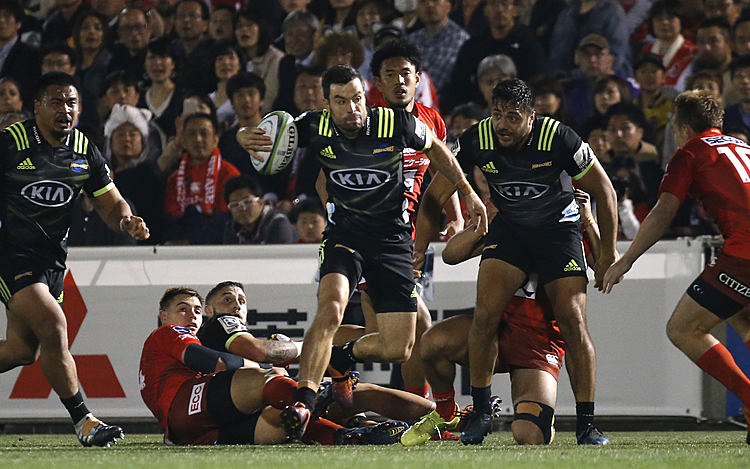 The winning team of Kirk Scorgie, Athol Greentree, Delina Greentree and Robert Tiatia were on top of the rankings at the end of four different events testing strength, stamina, endurance and a team’s ability to strategise. 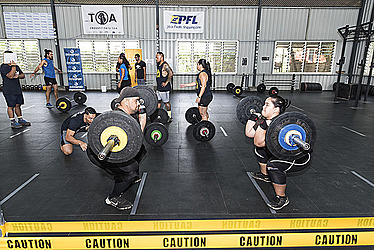 The competition on Saturday was the biggest event since CrossFit Fatutoa started hosting the Toa Games. Eleven teams took part including a team from American Samoa, Funkfit. The competition attracted a huge crowd and was made possible with sponsorship from PFL, Samoa Airways, Mana Care Products, Return to Paradise, Eveni Sport and Sunrise Restaurant. It ended with a prize giving and dinner at Nourish Café.